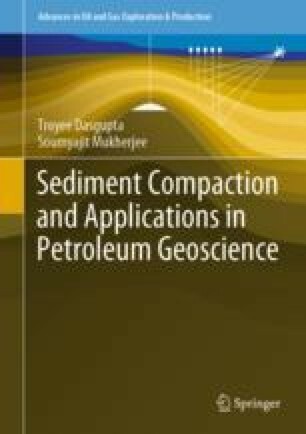 Various simple and advanced models exist for mechanisms of uniform and non-uniform sediment compaction that increases density and reduces porosity. While the classical Athy’s relation on depth-wise exponential reduction of porosity is not divided into any distinct stages, the Hedberg’s model involves four stages. Weller’s model utilized Athy’s and Hedberg’s relations to deduce a sediment compaction model. Power’s compaction model additionally considers clay mineralogy. Several other porosity/compaction models exist, e.g., those by Teodorovich and Chernov, Burst, Beall, and Overton and Zanier. The geometry of the depth-wise porosity profile depends on the sedimentation rate, compaction mechanism and pressure solution model. This chapter reviews porosity variation with depth for the following rock types: shales, shaly sandstones, sandstones and carbonates.